The Goblin, otherwise known elegantly as 2015 TG387, is a newly discovered dwarf planet stretching the previously known boundaries of our solar system. The keyword is stretching. The Goblin is found in a remote outer part of the Solar System, more specifically, 65 AUs away at perihelion—the closest distance to the sun in its orbit, and sixty-five times the distance from the Earth to the Sun. This distance also makes it only two and a half times further than the distance from the Sun, to Pluto. The Goblin is located in the Inner Oort Cloud, the inner part of a large body of icy objects at the outer edges of our solar system. Coincidentally, this new discovery is thought to be an Icy body as well. While the composition of this newly recognized dwarf planet is considered to be common, its highly elliptical orbit is what makes this recent find quite extraordinary. This pint-sized dwarf planet is so unusual because of its orbit that spans from 213 billion miles away, to just 6 billion miles away. However, this drastic difference isn’t just special because of the sheer length. This distinction unlocks a key to a popular scientific theory, enigmatically named “Planet X”. 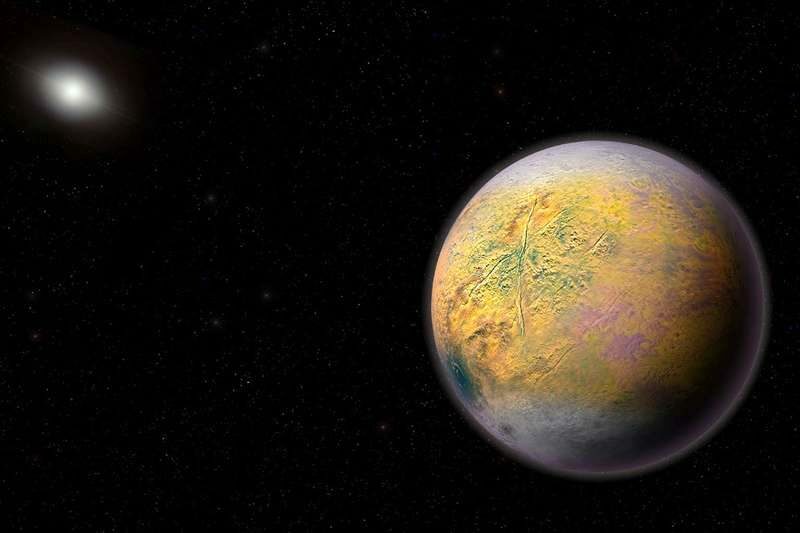 When The Goblin was discovered, scientists at Hawaii University ran computer simulations that showed that this dwarf planet most likely orbits around Planet X, in fact, it’s supposedly cornered by it, therefore explaining its small size and far distance. Not only is this discovery applicable to The Goblin, but it also adds onto the explanation of the orbital patterns of other dwarf planets such as Sedna, and 2012 VP113. These bodies are also highly elliptical and reach far enough out to be affected by Planet X. It’s believed that there are around 10,000 other dwarf planets further than Pluto, and if a few more are found, then scientists can confirm with ninety-seven percent certainty that Planet X is where they believe it to be. While a few more dwarf planets out of 10,000 may seem like a minuscule amount, it’s important to remember how long their orbital periods are, and that our current technology is unequipped to find these objects with ease. The Goblin takes 40,000 years to complete one full orbit, and it was only just found in 2015 through the Japanese Subaru 8-meter Telescope located on the inactive volcano, Mauna Kea, in Hawaii. This telescope is the only one that can even produce deep images that can reach the outer solar system. The fundamental principles based on the existence of this tiny, icy body hundreds of billions of miles away will lead Astronomers to new scientific revelations about our solar system, and life as we know it. All we can do is keep searching the sky, and have hope that new bodies won’t take one full orbit of 2015 TG387 to find.